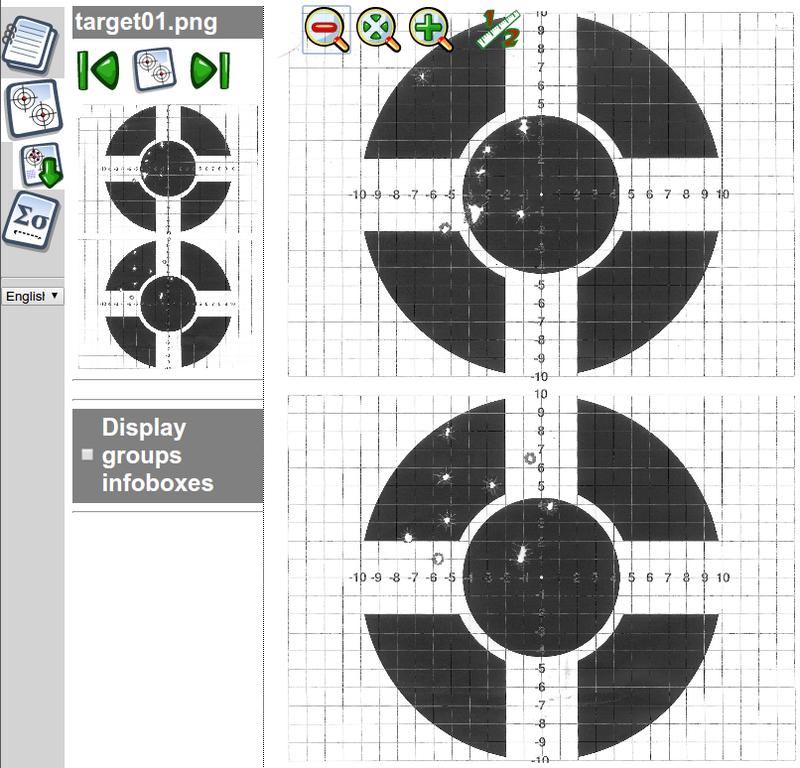 The target pane is used to indicate where the actual shots and groups are on your targets. To the left you see the navigation panel. If there are multiple targets in the project, you can jump to the next and previous target using the navigation buttons. Zooming in is very practical if you want to see the details of the image (e.g. for greater precision to mark shot locations). I would recommend to use the toolbar buttons, rather than browsers' built-in zoom features, because the toolbar zoom does not enlarge or reduce the rest of TARAN interface -- if you want to zoom in really deep, the built-in browser zoom quickly gets messy.